Thanks to Zackary Levi, we have our first official look at a promo banner from director David S. Sandberg. 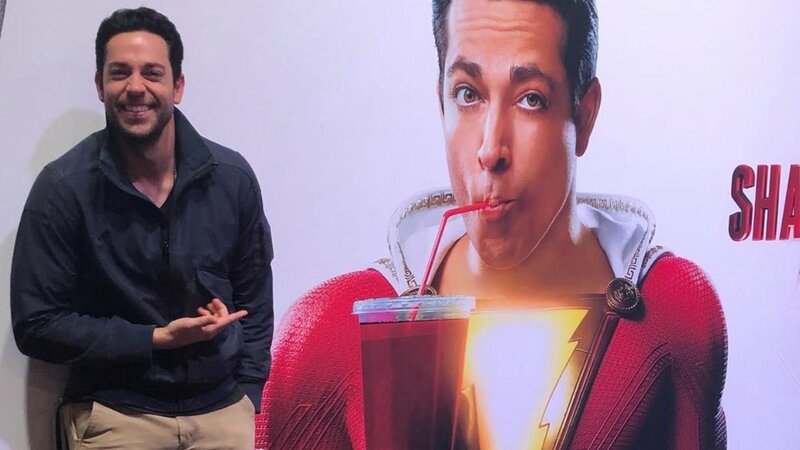 This banner gives us our best look yet at what Shazam's costume will actually look like in the film after it goes through the post production-process and it looks cool! There's definitely a lot more texture to it and a design to the costume that we weren't seeing in the set photos that we've previously posted. Now that you see what the costume will actually look like in the movie, what do you think? I wonder when Warner Bros. will actually give us a proper high resolution image of Shazam! ?